Paint colors can make a huge impact on the comfort level, vibe, and aesthetics of a room. Colors are more exciting when we realize how they affect our personal space. What some people don’t know, is that color can also alter our perception of a room’s size and shape. If you are a new condo or homeowner take a look at these house painting Chicago tips that can completely change the look of a room. Does your house painting Chicago project involve a room that is too large and doesn’t feel comfortable? Paint the ceiling a dark color to make it appear lower. This will make the room feel cozier. 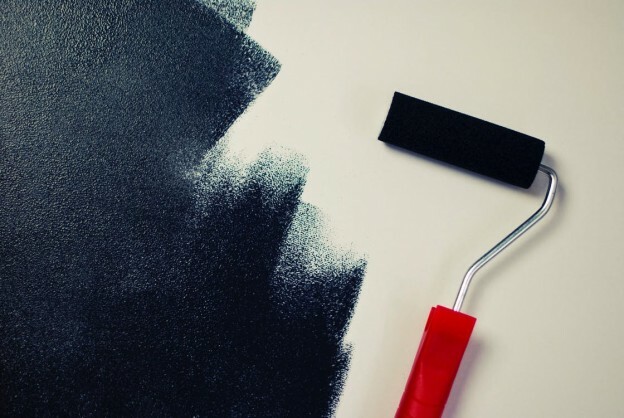 You don’t need to choose a color as dark as black, just a paint color that is darker than your walls. If you have a small space that makes you feel claustrophobic, paint the ceiling a very light color. Lighter color paint on the ceilings will raise the apparent height of the ceiling. Painting a room with one color enables the eye to travel continuously around the space, making it appear larger. When you use different colors, your eye will stop at the line where the color changes. When you paint walls different colors you will see boundaries. When you paint with the same color, you don’t see boundaries and space will continue. If you have a narrow space, paint the end walls a shade or two darker than the other walls. This will make the end wall feel closer to you, resulting in a room that feels more square. Need help with your house painting Chicago project? Our team at Fortune Restoration can help! Request an estimate today. This entry was posted in Blog, Painting on July 22, 2017 by admin.